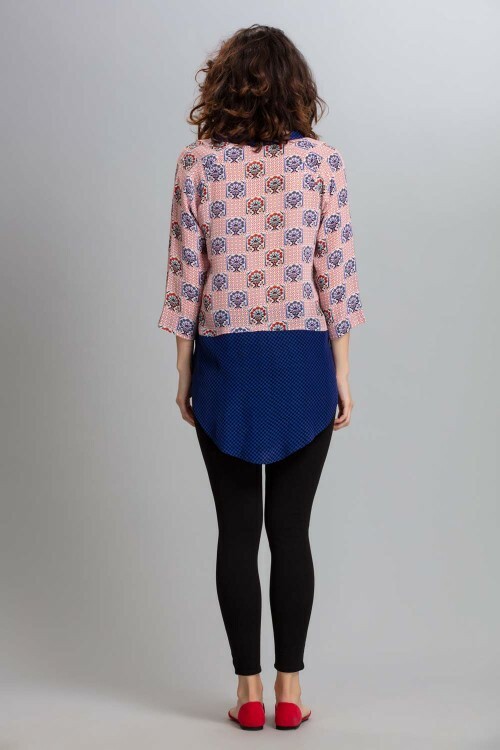 The Marina top is a knockout, arriving as it does in our pastiche print. 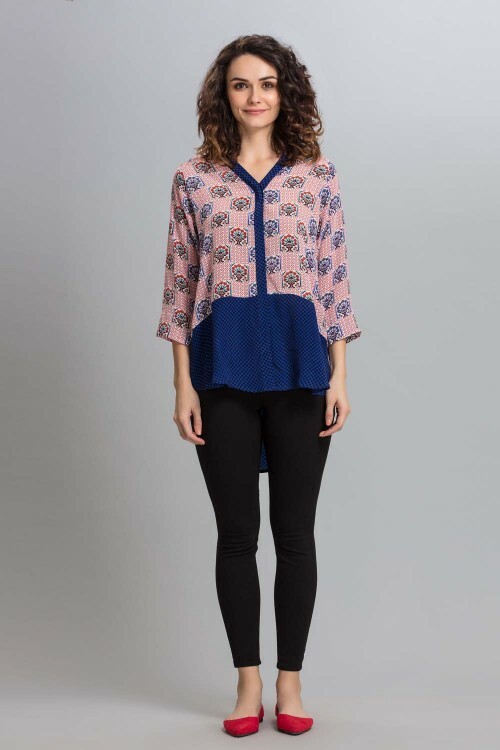 Made in soft crepe viscose it is a button-down with a relaxed style that has a shorter front and longer shirt tail. The blue contrast piping make this top more striking.